What Happened to the Hollywood and Vine sign on Vine Street (Glen Rose)? Was sent this picture on the January 10 2019 by one of Somervell County Salon's readers. See something missing from that little street to the left of the building where the Hollywood and Vine restaurant was? Why, it's the "Hollywood and Vine" sign. 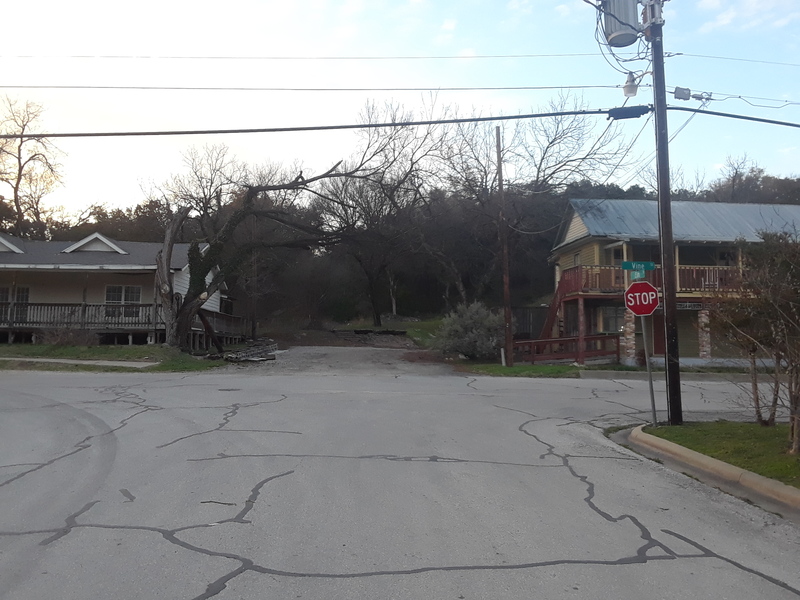 As I recall from 2010/2011, there was a meeting at the City of Glen Rose Town Hall in which someone requested what is a city street to be closed, and be able to be used as parking. At some point in the past, that street was going to be continued up to highway 67 but never was. Then owners of the restaurant wanted to use that parking and then, later, put up a sign stretching over the street saying "Hollywood and Vine". (As I recall, someone had just up and put the sign up without going to city council first,which caused a fracas, not to mention it was illegal to do so). For that meeting, from March 22 2010 audio at this link, seems like the decision was to allow a temporary variance for parking but still keep it as a city street, sign not brought up as it hadn't been posted then, but I mention it because it was strung up over a city street. I don't know if that ever was changed. The sign being up was considered a code violation but for some odd reason, the violation was never presented to the proper board as anyone else would have had to do. I went to the Somervell County Commissioners Court meeting last week and asked about this sign while waiting in the hallway outside the court. I was told that the sign was down and was actually in that hallway, and that the property has been sold to new owners. The new owners apparently want to make a more upscale restaurant and thus removed the sign.